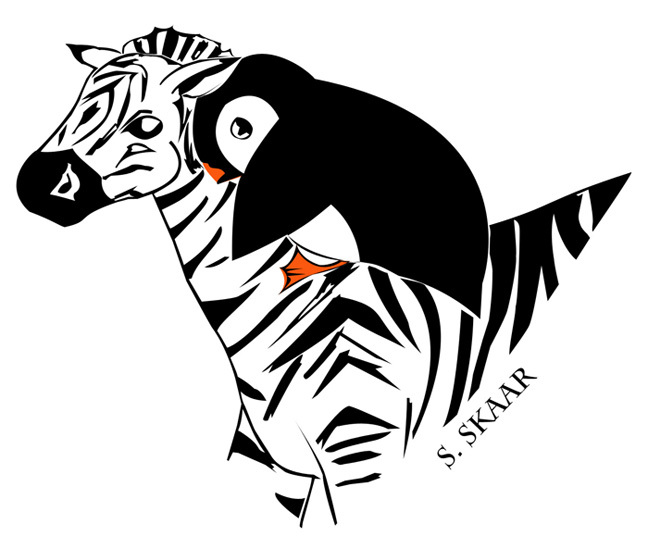 Per a brilliant almost-3-year-old’s request, a penguin riding a zebra. Available in the shop shortly. In the meantime, check out more of Suzanne’s work here. Good night/ morning, depending on when you read this. ‹ PreviousCan We Be Your Valentine?